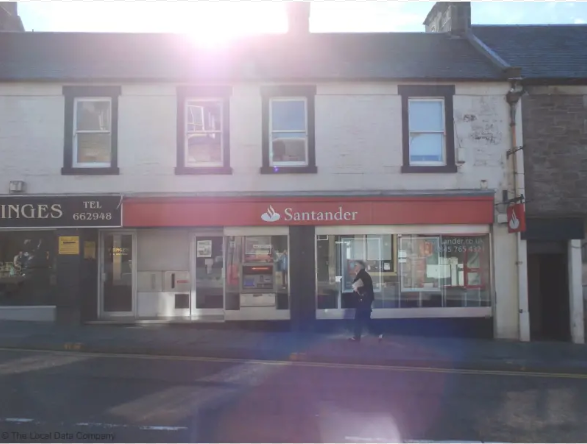 Lanark and Hamilton East MP Angela Crawley has secured a Westminster debate this week on the closure of the Santander Lanark branch. The Adjournment Debate will take place on Thursday 7 February at 5:30pm and a Minister from the Treasury will respond. The Lanark closure is part of Santander’s plans to reduce their branch network by a fifth. It will mean 840 redundancies across the UK, with the bank expecting to redeploy only a third of the 1,270 staff affected. The branches are due to close throughout the year, with the first Scottish closure scheduled for April. Ms Crawley said: “This is deeply concerning news which will come as a shock to many of my constituents who rely on their local branch. “The closure of the Lanark branch is not just an inconvenience – it is hugely important to the community and is a hammer blow to people in Lanark. “People and businesses in my constituency depend on the face-to-face service they get within their local branch, especially those who are elderly, vulnerable, or live in rural areas.